Cox, Estrepo and Mitchell will begin their two-year terms effective May 15, 2018 and join a very active and well-established BSA that was founded in 2016 and is currently chaired by Cora Spillman of Assumption College. Sigma Delta Pi’s BSA provides national leadership opportunities to select student members who offer feedback to the national Executive Committee (EC) on select issues related to the National Collegiate Hispanic Honor Society. Such consultations between the EC and the BSA may include but are not limited to: 1) identifying strategic initiatives to bolster membership. 2) providing a student perspective on proposed initiatives of the Executive Committee. 3) identifying areas of potential improvement with Sigma Delta Pi’s various programs. 4) discussing select issues and concerns at both the national (EC) and local (chapter) levels. One of the BSA’s current projects is its newsletter Sigma Delta Pideas, which is published every 2-3 months. 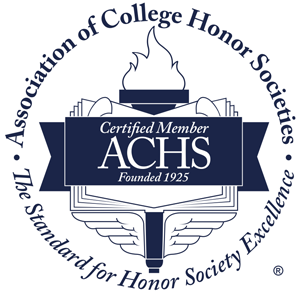 With its national office at the College of Charleston in South Carolina, Sigma Delta Pi is a member of the Association of College Honor Societies, the nation’s only certifying agency for college and university honor societies.